Good vibrations are needed by everyone, and of course you all want your life to be full of positive feelings! You have an energy field around you called the etheric body. The higher the level of the vibrations within this energy field the better you feel. An improvement in your vibration improves your health, both physically and on the mental, spiritual and emotional level as well. Many of you may talk about 'the vibe of the thing' or about 'good vibes', but not everyone is aware that the word 'vibe' is short for vibration. Vibrations are levels of energy within your body. You might say that your vibrations are good if the level of the vibrations in your etheric body are at the optimum level to create good health. Within the etheric are swirling energy vortices called chakras, that are vibrating at different levels depending on their function. It is important to keep the vibration within each part of the body as high as possible, to enable your health to as good as it can be. Each chakra relates to specific areas of the body and responds to certain vibrations. If you use crystals this may change your vibration. 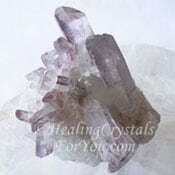 Crystals have different vibrations, and they too will respond to areas of the body and to specific vibrations. 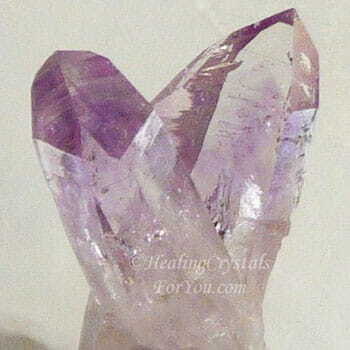 Holding any crystal may bring its energy into your auric field. Part of the vibration is their color as colors are also vibrations. Specific chakra stones of different colors will have a positive effect on the area they respond to. How Will Good Vibrations Help You? 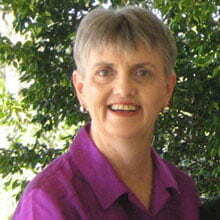 If you are unwell or unhappy the vibration of your body may change and you may begin to vibrate at a lower level. If you are aware of these vibrations, you may realize when they are less than "good" and decide to take action to lift your vibration. 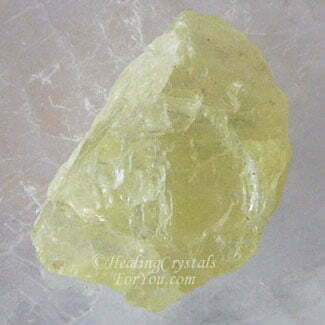 You may decide to use crystals to assist you to raise your vibration, like the lovely Yellow Amblygonite crystals. As you bring the level of good vibrations up from low to high it may have a positive impact on your overall spirituality and health. So it is in your best interests to maintain a high energy level within your body, to assist you to maintain good health, physically, mentally, emotionally and spiritually. Crystals have specific vibrations, and the individual vibration of a crystal is important to the healing outcome you will receive. The choice of the crystal to use is important, as it communicates with your body via its vibration. 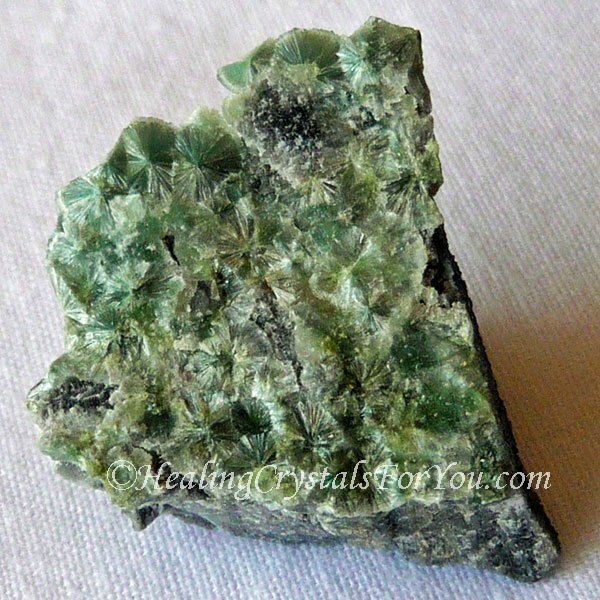 The crystals from a group of natural stones that contain lithium are very helpful to aid stress and anxiety. Use the lovely Amblygonite shown above, along with Lilac Lepidolite, Smithsonite, Aquamarine, Hiddenite, Lithium Quartz and Pink Kunzite, which are powerful stones for lifting your emotions. This choice may depend on what you hope to achieve from working with it. If you do not know which crystal to choose, allow the process of coincidence and synchronicity to guide you to the right one. How Do Good Vibrations Aid Your Life? Are you a person who has been regularly saying positive affirmations? While you are in meditation would be a good time to say a positive affirmation of gratitude, as the power of positive affirmations will help you. Sometimes when you are in meditation it is difficult to get your thoughts off your problems. Depending on the reason for you to be experiencing this lack of good energy, you may be able to aid yourself to get back on course. Meditating with crystals, or just sitting quietly holding one in your hand may help you to change your vibration from negative to positive. A positive feeling within your etheric body may bring you healing emotionally, physically, mentally or spiritually. An improvement in the good vibrations within your body may assist you in various way. If the result is that you are able to find inner peace, or if it assists you in finding out ways to be happy, this may be a wonderful outcome. As your overall vibration improves you might find the result is an increase in the level of endorphins which your body creates. If you have a change in your overall outlook for the better, this can only be positive. As the good vibrations within your body increase, you may find these positive thoughts flow through to an overall improvement in your health and well-being, and a resultant increase in your self confidence. 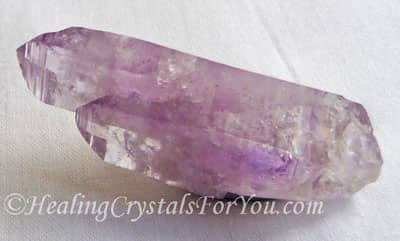 By virtue of its vibrational nature a crystal may aid you to change your vibration, so using them in meditation may be beneficial. If you allow the resulting good vibrations to flow out into your etheric body, it may improve any part of you that needs assistance. Meditation is an excellent time to work on improvement of your vibration. 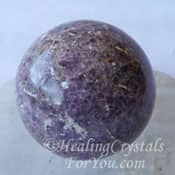 Beautiful purple Amethyst Crystals have a strong vibration that will calm the emotions. 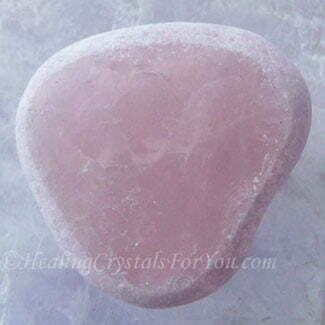 Rose quartz brings through a strong energy that stimulates loving thoughts and feelings. When doing a crystal meditation, these are some of the better stones to use, as they will soothe your mind and help you to ease into a relaxed state. While you mediate or even simply sit quietly, give thanks to spirit for this improvement, in advance. As you spiritually embody this sense of gratitude, your attitude of gratitude will bring extra energy into the situation and a greater healing may occur. While you do any of these activities make a point to think positive thoughts, and you may feel an extra lift in your vibration. To enhance feelings of gratitude you may like to keep a gratitude journal, as writing in a journal every day about all the good things you have allows you to feel more appreciation for having them in your life. The Japanese Doctor Masaru Emoto in ground breaking work on vibrations, shared information about the vibrations of water. He proved in his research that the way any one of us thinks will affect the vibration of water. And as the human body is about 70 percent water, you need to be aware to keep your vibrations positive. 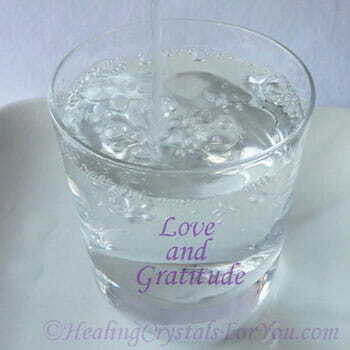 The words"love and gratitude"said to water, made very beautiful water crystals. So if you say these words, to yourself, with feeling, you may affect the water within your body, and improve the overall vibration within you, for the better. The books below by Dr Masaru Emoto have some beautiful pictures in them, of water crystals that have been shown words. 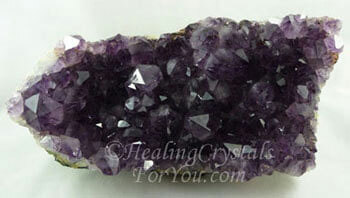 These words include, Love, Gratitude, Peace and the crystals that formed, when shown "Love and Gratitude" together. It did not matter which language the words were written in, they were beautiful in any language. Your body may contain up to 70% water, so imagine what these words can do to you?? "We must pay respect to water, and feel love and gratitude, and receive vibrations with a positive attitude. Then water changes, you change and I change. Because both you and I are water." Dr Masaru Emoto. 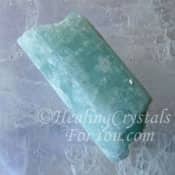 Crystals may absorb your negative energy, if you have been in a negative frame of mind. This may assist you, as the removal of any amount of negativity is beneficial. 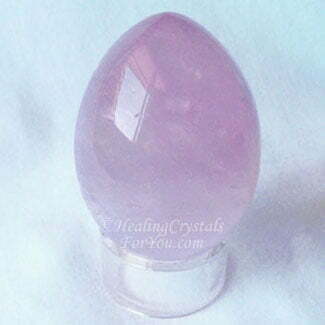 One very beautiful crystal that is a wonderful stone to restore your positive vibrations is Rose Quartz. It is highly advantageous to have a piece of Rose Quartz Crystal in as many rooms of your home as is possible. These lovely pink quartz crystals have a powerful love vibration that may assist you to improve your spiritually and health. Rose Quartz has a strong ability to enhance your way of feeling, and restore your good vibrations and enhance your emotional well-being. 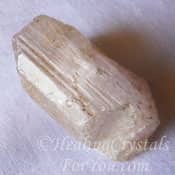 Being a variety of quartz they would be beneficial healing crystals for you to utilize, as they will resonate good vibrations out into the room. 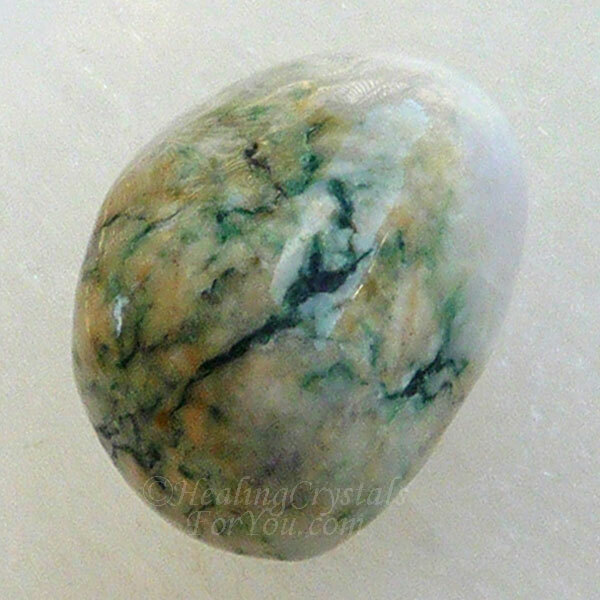 This is a powerful stone to assist you to improve how you feel, as its powerful and penetrating energy moves easily into the area where you are using it. 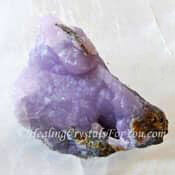 It is a premier stone that is used by healers for healing the emotions, and it has now become a mainstay stone for healers doing quartz crystal healing. It is likely that your crystals may absorb negativity, not only from you, but from anything in the environment where they live. This is why it is a good practice to clean them regularly. If you have been using them when you are feeling down, afterwards might be a particularly good time to cleanse them, to return the good vibrations to them. It is important that you attempt at all times to keep the vibration within you high. As you allow good vibrations to be within you, have an attitude of gratitude for their presence and enjoy your life! The predominance of good vibrations within your mind will affect your body. From this, you may find that an improvement of your mental, emotional and physical health is the result. There are different methods for different stones, so if you would like more details go to my specific page about cleansing crystals, that covers the subject in more detail. So what are the best methods to use for cleansing your crystals to ensure they contain only good vibrations? Using white light is powerful method if you know how to create it. 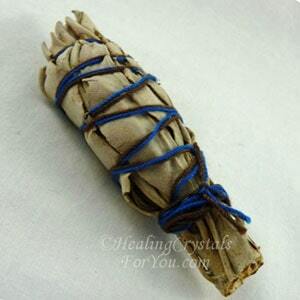 If you do not know how to make white light, smudging your crystals with white sage is easy. If you are not sure how to use white sage use moonlight. A good time to cleanse them is at the time of the full moon, when it is at its brightest. The moonlight has a powerful influence that will re-energize them, and allow them to lift their vibrations naturally. Place them in an area of your home where they will be able to absorb the moonlight, and leave them there overnight if possible. If you own a crystal singing bowl, place small crystals in the bowl so that they can absorb the vibration as you play the crystal bowl music. The vibration of any stones near the crystal singing bowl will also be lifted. Water cleaning is not recommended unless you know a lot about crystals. Some crystals do not like to be cleansed with water and it may ruin them, so avoid this method of cleaning unless you are absolutely sure. 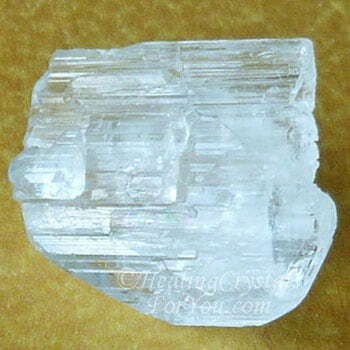 To clean quartz crystals any or all of the above methods may be used. 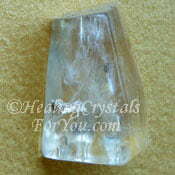 In addition you can clean quartz crystals using running water. If you are not sure if the crystal is a quartz crystal err on the side of caution and do not use water. Some stones like Selenite may react very badly to water, so may not be cleaned with it as it can totally ruin them.